Guardians of the Galaxy director James Gunn took time out of his busy schedule writing the upcoming Guardians of the Galaxy 2 to partake in a Twitter Q&A with fans and delivered an interesting nugget of information. “@MarioMurgueitio: James, is there a favorite superhero you want to bring to the big screen?! !” And will do so in GotG2! Gunn has previously expressed affection for a number of cosmic Marvel characters, such as Beta Ray Bill, Starhawk, and Adam Warlock, all three of which could appear in the film. Another character Gunn is quite fond of is Rom Spaceknight, a character that Marvel produced comics of from 1979-1986 but doesn’t actually own the rights to (he’s fully owned by Parker Brothers), but in a world where Spider-Man will appear in the Marvel Cinematic Universe, anything can happen. 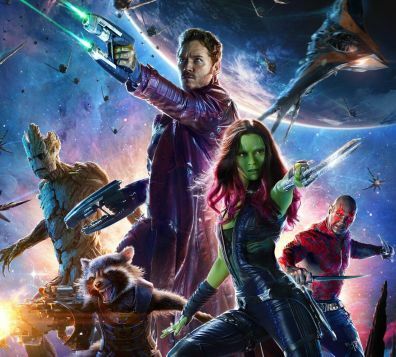 Guardians of the Galaxy 2 will once again feature Chris Pratt, Zoe Saldana, Dave Bautista, Vin Diesel, and Bradley Cooper as unlikely heroes who must team up in order to defeat a cosmic force of epic proportions. It will be released in theaters on May 5, 2017.